Ford says it will unveil the battery-power Focus, going into production late this year, on Friday at the big Consumer Electronics Show in Las Vegas, not at the Detroit auto show next week. The Detroit show, officially the North American International Auto Show, is the most prestigious car show in the U.S. because it gets the most support from automakers and draws the biggest media crowd. Of course, that means automakers have to work oddball angles to stand out among the clamor at the NAIAS. Using the CES is Ford's answer. The Focus EV is based on the not-yet-launched 2012 gasoline Focus small car, meaning that Ford didn't have to create a unique electric-car chassis. 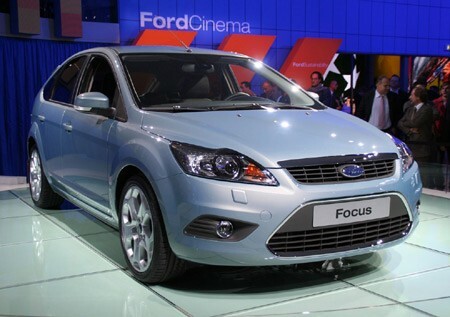 Focus EV is expected to have a battery range of about 100 miles. That's the same as the Nissan Leaf electric that went on sale last month. This is an old article. I have had a FORD Focus EV for 2 years now and it's great with no battery loss in the Phoenix heat. I'm very happy with the FFE.